NSN’s iPBX platform utilises the best technology available through multiple vendors to deliver the ultimate hosted telephone PABX system (Private Branch Exchange) available to the market. With over 1000 separate installations and 5000 individual phones our iPBX operations team and fulfilment practices are tried and tested. Our staff are Prince2 and ITIL service desk qualified and are the best in business at ensuring your iPBX install is planned and delivered without disruption, on time every time! 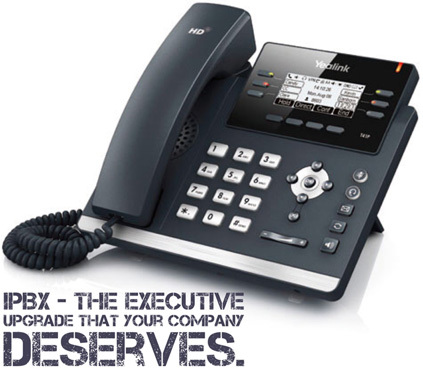 Future proof your business telecoms with our state of the art Hosted telephone PABX platform. iPBX is a combination of the most advanced, secure technology from multiple vendors, delivering the most flexible hosted telephone system available today. We make upgrading to iPBX accessible to all kinds of businesses with competitive purchasing options to suit most budgets. By having your phone system in the cloud you never have to worry about upgrading and servicing any equipment on your site, you can easily join offices together and seamlessly connect home and remote users. You have access to many features you would not have on a conventional phone system without spending a lot of money (Such as call recording and call queuing). There is no business better to manage the rollout and support of your cloud based telephone system.